Posted in Resuscitation	| Tagged equipment, human factors, prehospital transfusion, resuscitation, tranexamic acid	| Enter your password to view comments. 1. We need your help. Why do we want another module? To borrow an ergonomic phrase – to task cluster. 4. In the spirit of the ‘flipped classroom’, please review these three videos before or at the start of your next HEMS shift. We will then progress through a series of drills to enable our clinicians to improve their knowledge and skills in the arena of advanced circulation. Please see yourselves in the role of test pilots. It is through usability testing that lessons will be learned. Plus our colleagues at Sydney HEMS, MedSTAR and the Scottish EMRS for sharing their wisdom. Please share your questions and suggestions with us. Pretty much summarizes the severe traumas that define the essence of our trade. And sometimes, the answer to critical bleeding is to give blood. Herein, please find our training video. We welcome your feedback. 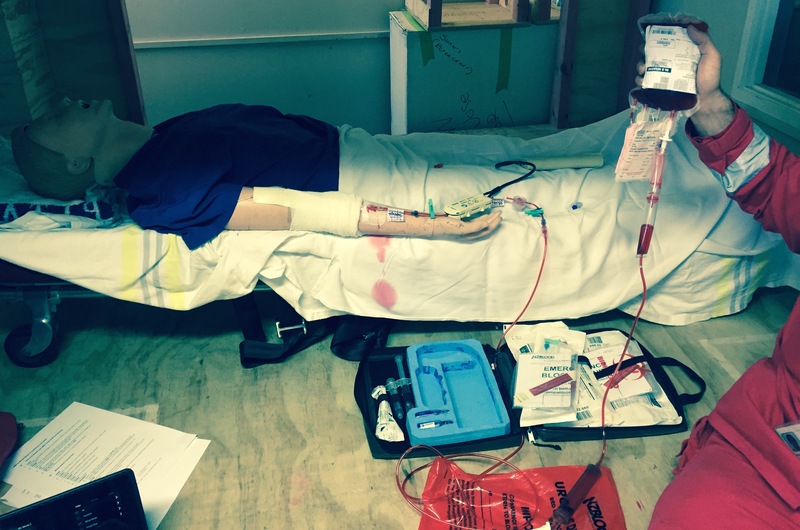 Our draft Blood SOP is undergoing usability testing with our clinical teams. Once finalized, we will share this for FOAM. 1. There is now evidence of survival benefit in the military and in the civilian literature. 2. Beyond packed red blood cells, services are also exploring the use of plasma, and of whole blood. 3. Pouring in blood is frivolous without meticulous hemorrhage control. 4. If we are to forge strong links in the chain of trauma survival, these critically ill patients must move quickly to definitive care. We are working with our local trauma centres to move seamlessly from out of hospital into ED, Resus, Operating Theatres and Critical Care. Please share your experiences with us. An unidentified surfer discovers the hazards of being caught inside at a notoriously shallow reefbreak during the biggest swell in two years..
Posted in Benefit of HEMS, Resuscitation	| Tagged benefit of HEMS, prehospital transfusion, resuscitation	| Enter your password to view comments.